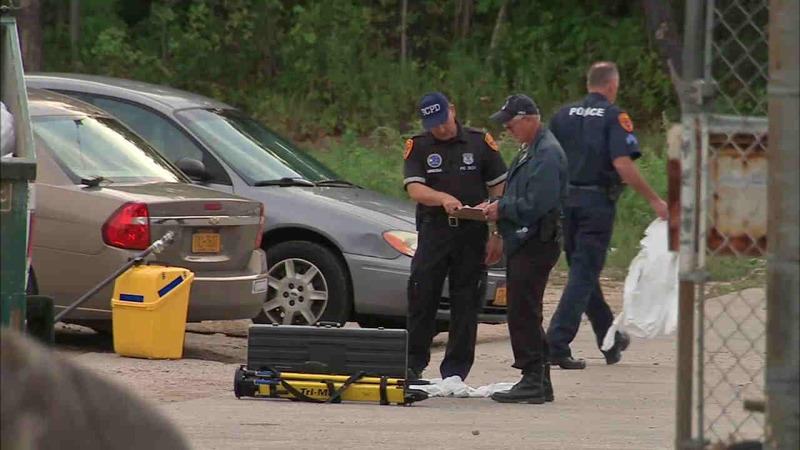 Thirty-five suspected members of a Long Island gang have been arrested amid a string of brutal killings, including the discovery of a teenager's skeletal remains. BRENTWOOD, Long Island -- Thirty-five suspected members of a Long Island gang have been arrested amid a string of brutal killings, including the discovery of a teenager's skeletal remains. Jose Pena-Hernandez, 18, was believed to be a gang member with links to El Salvador and Los Angeles, the Suffolk County assistant police commissioner, Justin Meyers, told The Associated Press on Friday. The teen's remains were found earlier this week in Brentwood, a hamlet of 60,000 about 40 miles east of Manhattan where law enforcement officials have intensified their battle against gang violence. This past month, four teenagers from Brentwood High School were found dead. The body of 15-year-old Nisa Mickens, who suffered head trauma and lacerations, was dumped on a road on Sept. 13, police said. Her best friend, 16-year-old Kayla Cuevas, was found beaten to death a day later behind a home. Two miles away in a wooded area, police made more grisly discoveries a week later: the remains of 19-year-old Oscar Acosta and 15-year-old Miguel Garcia-Moran. Both had disappeared earlier this year. "When the girls were murdered, the (Suffolk County) police commissioner made a commitment to the community to eradicate gang violence," Meyers said. "We made strategic lists of gang members, with the goal to both quell the violence and to extract information about past crimes." In another killing authorities say likely is gang-related, the body of 34-year-old Dewann Stacks was found last week in Brentwood. Meyers said that of the 35 suspects arrested in the past three weeks, five were violent gang leaders. They're in custody facing federal charges under the RICO organized crime act. "This is just the beginning; we're not going to stop 'til we decimate the criminal element in Brentwood," said Meyers.